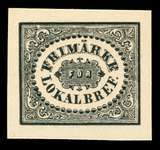 Most of the country price lists also include many topical/thematic stamps and related items. However, I am working toward building an extensive section of Scandinavian lists organized by topic and welcome assistance in making them complete and useful. Sweden Slania's 1000th Stamp Engraving If you collect Slania and you have not seen all the items related to this issue, you will want to see this! Almost all other Slania issues, from Scandinavian and non-Scandinavian countries are in stock and available for approval viewing. Send your want list! The Greta Garbo Stamp and Postal Card Issues of Sweden and the United States. I believe this to be the most comprehensive Greta Garbo list (at least for those countries) on the web. 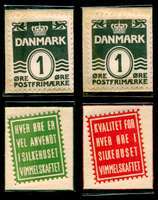 Scandinavian and Worldwide holograms in stamp designs. The Millennium Stamp Issues of all the Scandinavian countries. I believe this to be the most comprehensive Scandinavian Millennium list ever published. These are items from countries other than the subject country. For example, in Norwegiana, one might find the stamps issued by Iran for the Norwegian royal visit to Iran, or Norwegian-origin town name cancellations on U.S. covers.